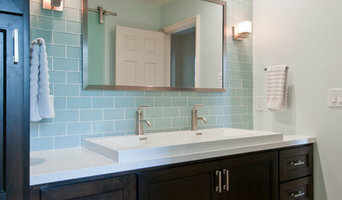 One of SoCal's leading full-service remodeling companies. Our firm consists of a team of skilled builders & designers, with expertise in services ranging from new home construction to home remodeling. Preferred Home Builders provide a vast range of services to cater for all of your construction and renovations needs. We work hard to provide the best quality in our services and our construction. Iron Built, Inc. specializes in getting the job done right. Whether it's a kitchen remodeling or a new addition to your home - know that customer satisfaction is our primary objective. 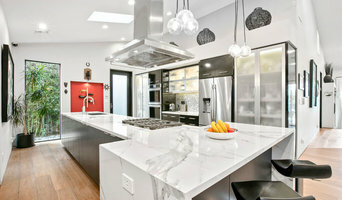 KG Construction is a one of Southern California's leading full service remodeling companies. Our firm consists of a team of skilled Builders & Designer, with services ranging from New Home Construction, to Home Remodeling Services. We understand that no two projects are alike, and that each project is tailored to the unique needs of each client. KG Construction is unique in its capabilities, as we have combined the knowledge of both design and construction. We are experienced in giving clients the quality design elements they search for and the efficient construction they deserve. We understand that the blueprint of a project is just as important as the project itself. That is why we develop accurate pre-construction budgets, as well as efficient and cost-saving construction methods to help assure each project is completed in a timely manner and stays within budget. We perform all tasks with our own team of skilled craftsmen, and effectively manage our projects during construction. We are a general contracting company specializing in additions and remodeling. We will ensure that the work you need done will accommodate all your needs and create a place where you are most at home. Our specialized hard workers perfect every job they do in a time span you are comfortable with. We are located in the San Fernando Valley and will travel to surrounding cities. 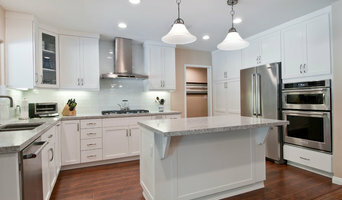 Whether you're looking to finally fix that leaky roof, or maybe just trying to re-do your out-dated kitchen, California Skyline Remodeling is here to help. Popular Bathroom is a general construction company specializing in what we feel matters to homeowners the most– The Bathroom! Let your troubles fade away as you enter our walk-in shower, or immerse yourself in a warm water of a Jacuzzi tub. Wash away your burdens, and open your mind to let the solutions to long-standing problems follow. Popular Bathroom is here to provide you with an updated bathroom you can admire, and even talk about! Whether you like to run a bath, or take a quick shower, Popular Bathroom will provide you with a functional design, great service and a beautiful new bathroom built just for you, with only you in mind. CA Restoration & Construction Los Angeles provides high quality work at affordable rates! 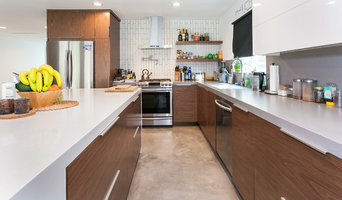 We are ready to assist you with ALL your remodeling needs from design to completion. Bazik's Floor Covering specializes in high quality, unique flooring products, and comprehensive kitchen and bath renovation services. Give us a call today to get started on your next project! MG Construction & Decks - Where Passion and Creativity Meet. At MG Construction & Decks we put the customer first. Our goal is to have a long and trusting relationship with our clients. We are a family owned and operated company. Michael Maor Gabso is a general contractor with an eye for design. We have been in the construction business for over a decade building and designing homes and backyards. Michael is a third generation contractor. His attention to detail and his personal customer service is why MG Construction & Decks has been rated one of the top contractors in the Los Angeles area year after year. We love turning your remodeling and construction dreams into a reality.